By utilizing an EMA oral appliance, it does not interfere with breathing through the mouth, even when nasal passages are congested. With nine strap lengths and four different elastic options, the EMA device has many options for advancements in treatment. Due to the varying elastic bands, non-restricted lateral/protrusive movement, along with improved movements of the jaw, are possible. 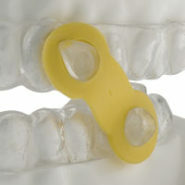 Contact us to learn more about EMA oral appliances. 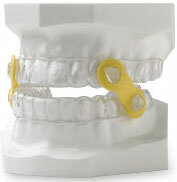 Through a better understanding of this oral appliance, we can help you better treat your patients’ individual needs for a better night’s sleep.